Choose the Auto-Ship Program to guarantee you never run out of product. Initial orders will be processed and shipped upon receipt. Auto-Ship orders will be processed & shipped starting next month on the selected date. Auto-Ship orders will be processed on the last business day before a weekend or holiday. Changes to Auto-Ship orders must be received at least 5 days prior to Auto-Ship date. Customers who select Auto-Ship are “Preferred” and receive Wholesale pricing. 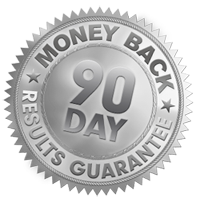 Having already helped millions of people lose millions of pounds, we’re so confident that in 2013, the NEW Body by Vi Challenge is offering a 90-Day Money-Back Results Guarantee. 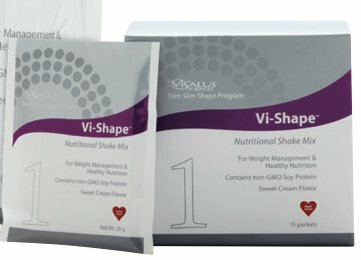 If you are not satisfied with your Challenge results after completing the above steps, give Visalus a call at (877) ViSALUS within 10 days of completing your challenge. Program Rules: Available to new Customers & Promoters who enrolled after January 1st, 2013, and is limited to an individual’s first 90 days of Challenge Kit orders. Maximum refund of 3 auto-shipped Challenge Kits per person. Refund applies to Challenge Kits only and cannot be applied to additional product purchases. Money-Back Guarantee excludes shipping. If a Promoter exercises the guarantee, they will forfeit their Promotership. Billing name and address must match Customer/Promoter shipping name and address. In order to process the refund, a Customer/Promoter will be asked to complete and return 90-Day Guarantee Verification Card. Requests must be submitted via phone within 10 days from the end of the 90-Day Challenge. Must complete 90 Days, otherwise standard refund policy applies. Please call (877) ViSALUS if you would like to request your refund. Qualification criteria are subject to change. Please visit guarantee.vi.com for complete details.